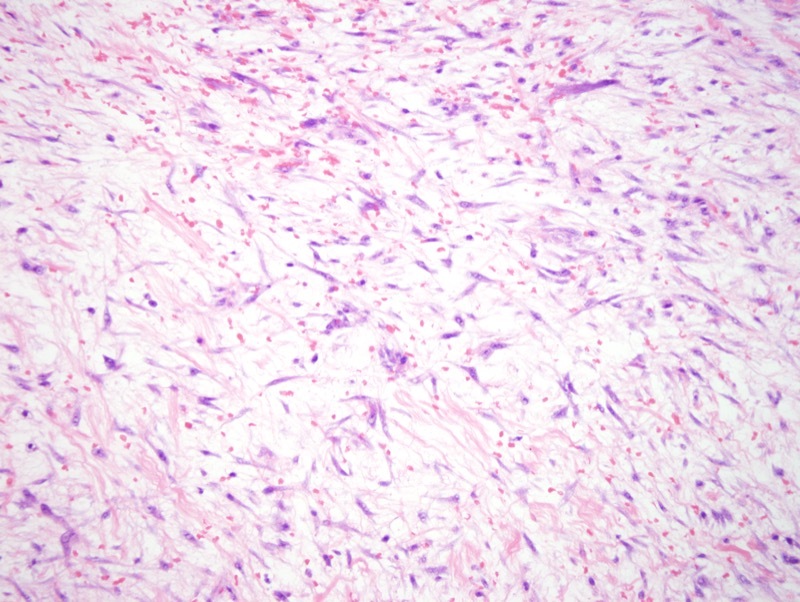 Nodular fasciitis is a benign, reactive and often solitary process characterized by rapid growth. 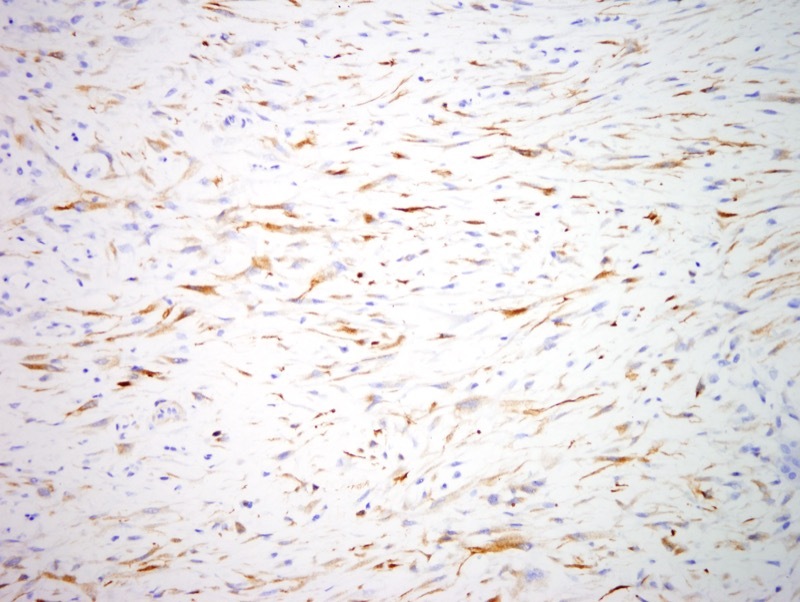 Microscopic examination discloses a cellular proliferation of spindled cells often with brisk mitotic activity, findings that not infrequently result in the erroneous diagnosis of malignancy. 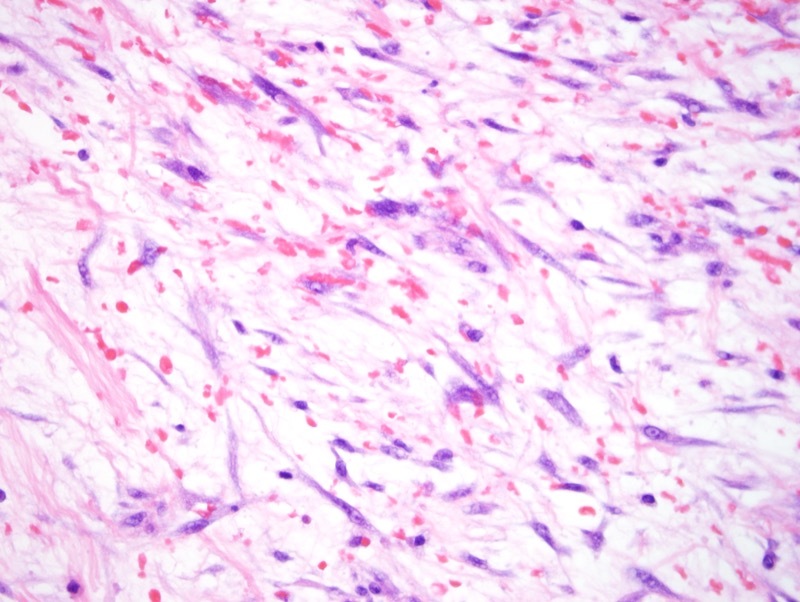 The cells are of fibroblastic/myofibroblastic origin, are set in a myxoid or fibrous stroma, grow in short fascicles and are likened to a tissue culture. 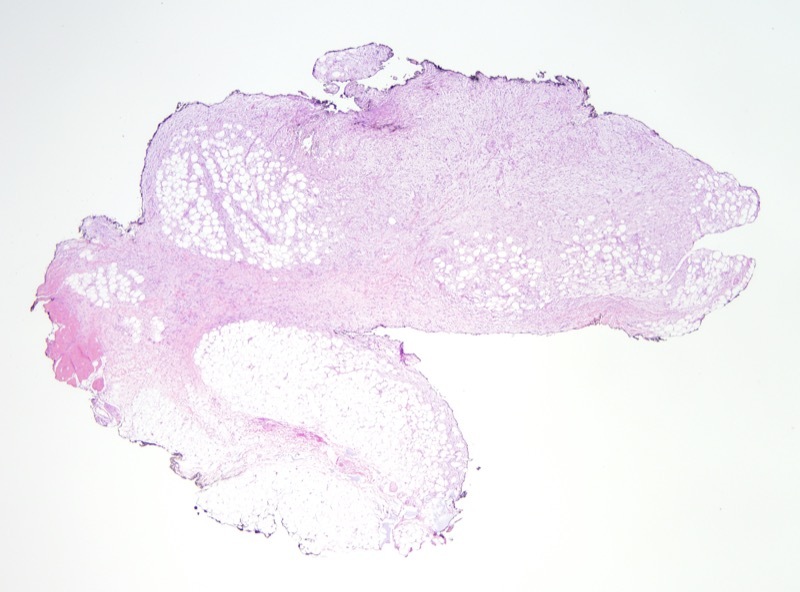 Most patients are young adults who present with a relatively rapidly enlarging lesion of the upper extremities, chest wall, back and head and neck region, although other areas of the body can be affected. 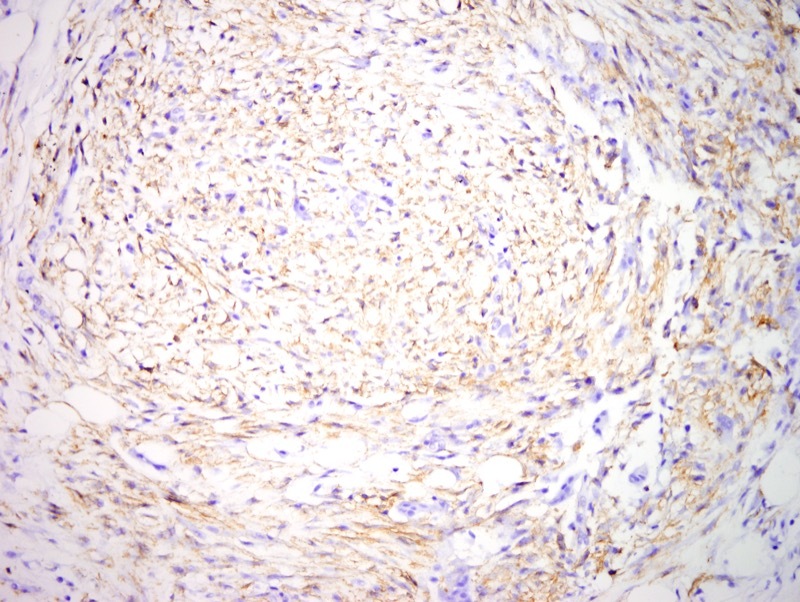 The findings in this case are those of a fibro/myofibroblastic process extensively involving the fat with a very characteristic disposition to expand the interlobular septa. 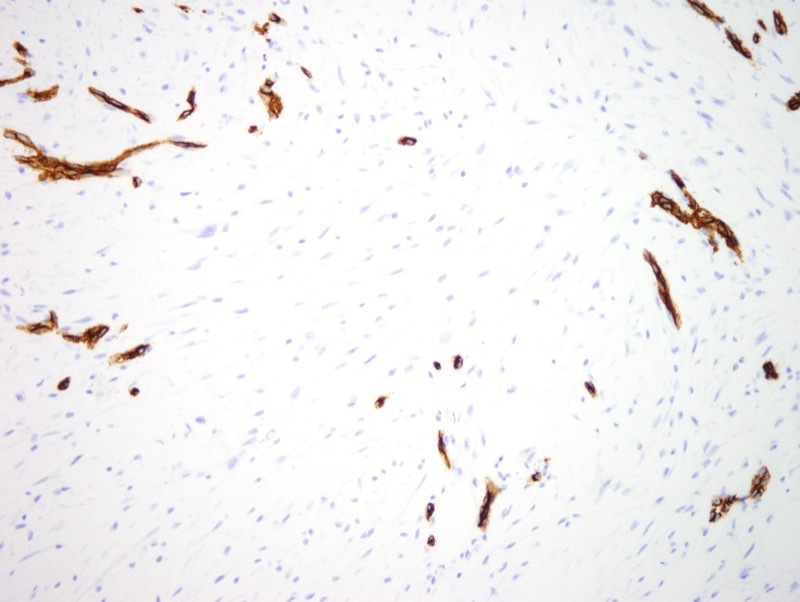 The proliferating cells are fibroblasts exhibiting a smooth muscle actin positive phenotype. 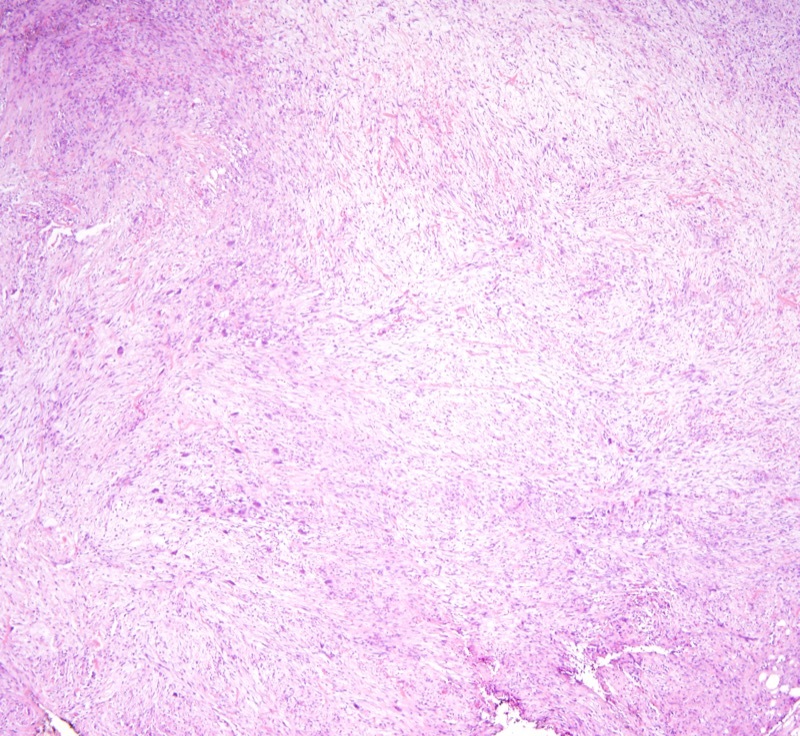 This is a pseudosarcomatous process that is self-limited and reactive in nature. 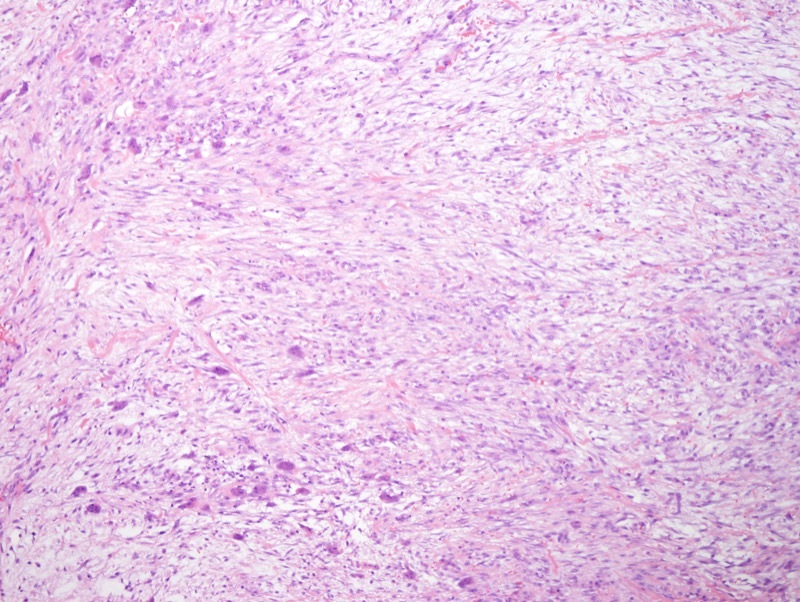 Because of it rapid growth, cellularity and occasional mitotic activity, this entity may be misdiagnosed as a sarcoma.